Jump into the new year with a new and improved kitchen. 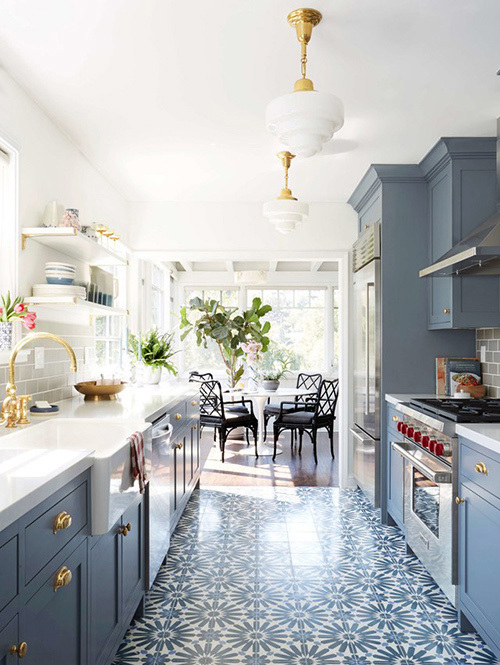 Whether you are planning to renovate your current kitchen or design from scratch, you don’t want to miss out on the hottest kitchen trends. 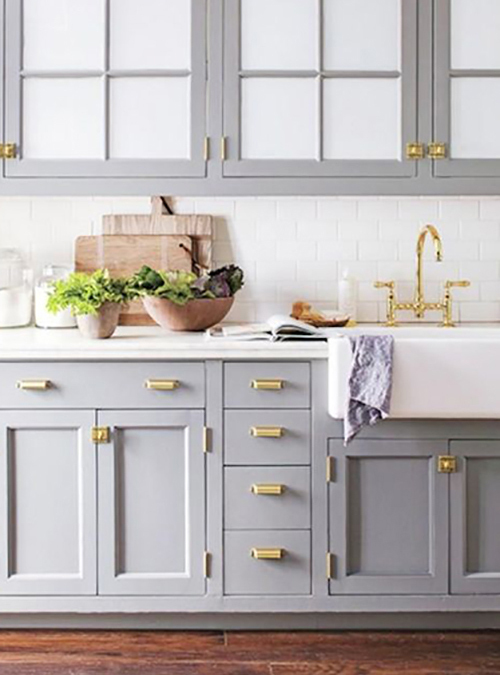 From decorative tiles to brass hardware, there are many details that need to be considered. Read below to learn more about how to design your kitchen using the latest trends. 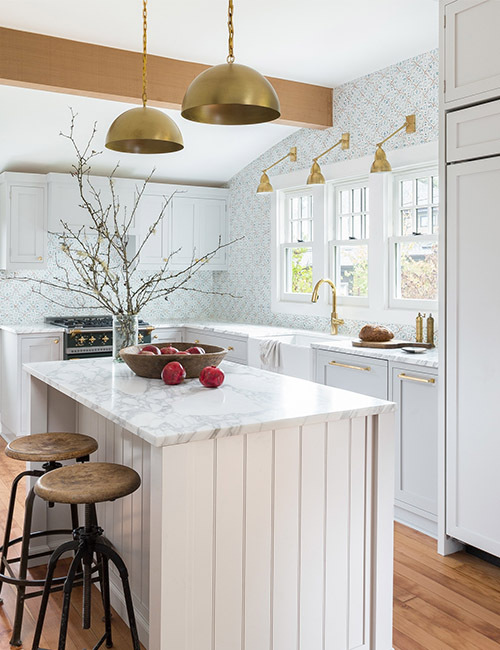 Upgrade to a traditional farmhouse-style kitchen with polished white subway tiles and high-shine kitchen cabinetry. 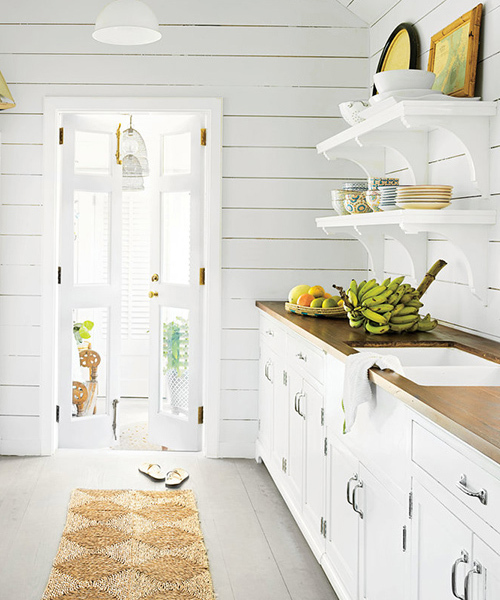 Perfect for long and narrow kitchens, white-on-white hues brighten and add shine to open up smaller spaces. To add warmth and character to the room, combine rustic and raw materials, such as open wooden shelving, wood or natural stone countertops, or even natural fiber rugs, which create a whimsical atmosphere. We can’t deny all-white finishes create a timeless look, which can easily be updated to fit any style by swapping out home decor pieces. 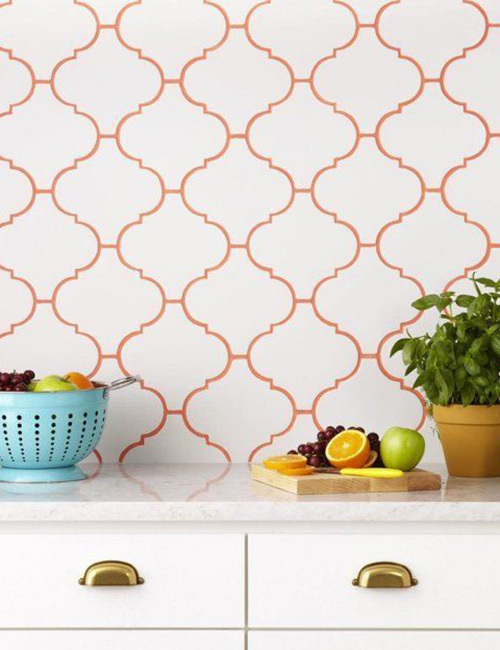 Add an exotic touch to your kitchen with intricate designs and patterns inspired by Moroccan culture and Mediterranean aesthetics. One of the best ways of using Moroccan tiles is in creating a jaw-dropping focal point. 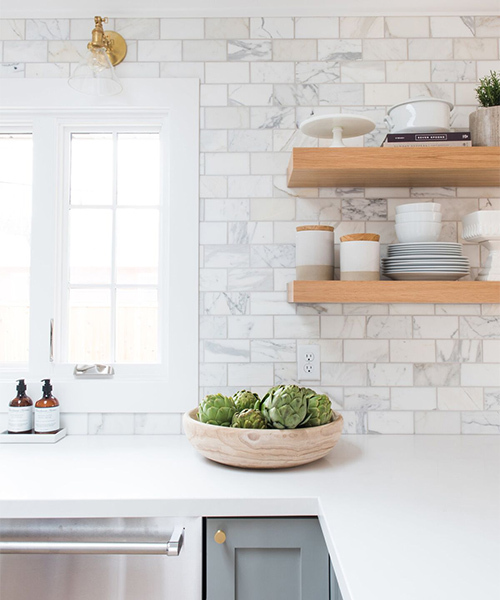 Tile the face of your kitchen island to add that wow factor. Use as a border to highlight special areas, or place the vibrant tiles on your kitchen countertop for an added pop of color. With beautifully detailed tiles, ranging from blue, brown and black, you can go easy on the home decor pieces and let the tiles speak for themselves. 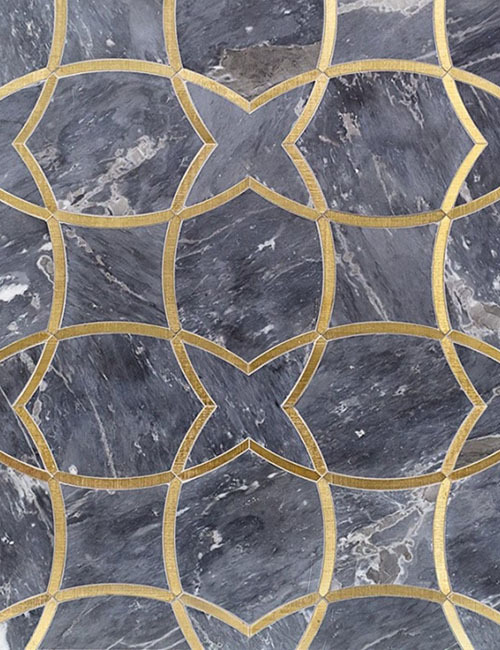 Increasingly popular in high-end restaurants and boutiques, waterjet tiles with brass lines can create a luxurious and sophisticated look for your kitchen. Find Art Deco-inspired designs for an ageless and glamorous look that will definitely spark conversations. Think elegance and Gatsby when opting for tiles with brass or gold lines. 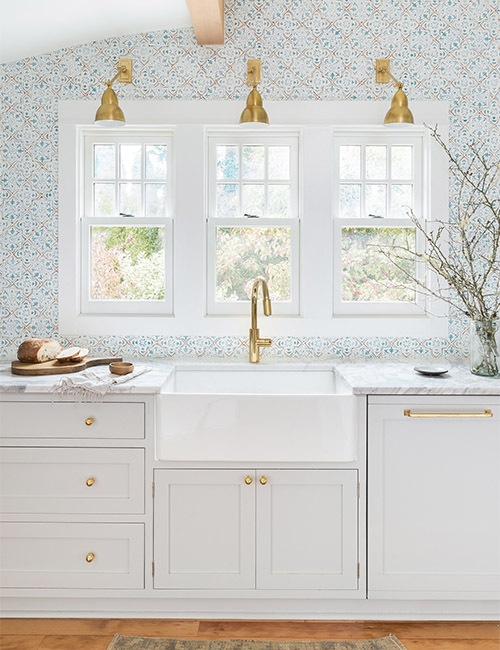 For minimalist kitchens that need a little refresher, opt for iridescent grout, which can create a beautiful crystal effect on polished arabesque tiles. Express your personality with bold and colorful grout. The dramatic look will help to highlight the style of your tiles while looking edgy and modern. This look has longevity and will withstand the test of time. For a visual punch that oozes with appeal, decorative flooring can be a great option that works for both small and large kitchens. 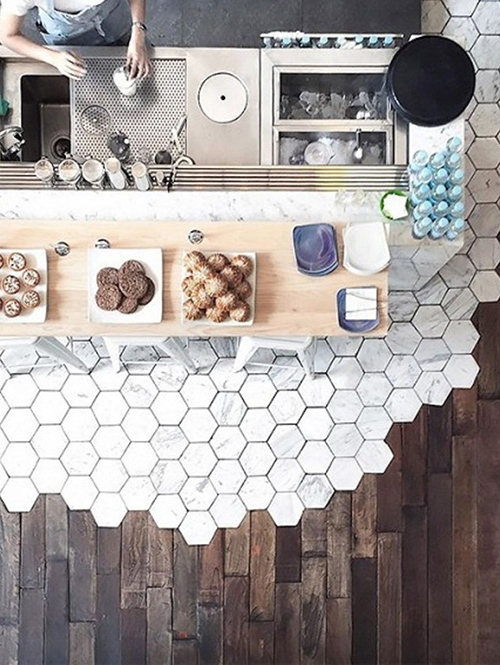 Introduce hexagon tiles or lozenge shapes for a quirky twist to modern style kitchens. Start with two different flooring material and shapes to help extend the kitchen flooring asymmetrically. 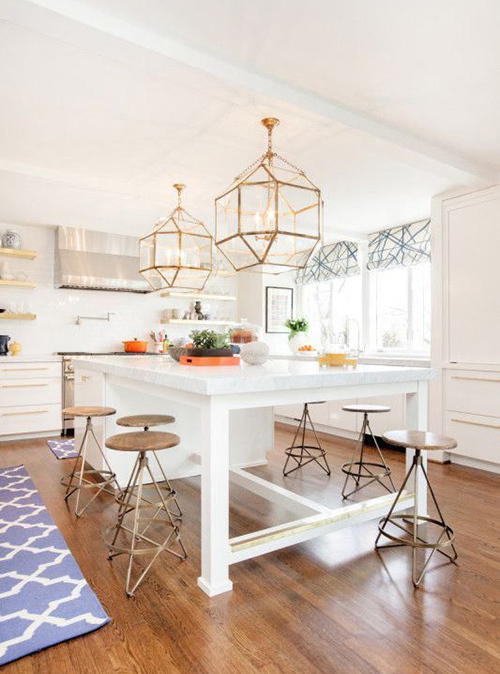 By blending the two styles, you’ll create a beautiful transition between the two rooms and will easily create a truly one-of-a-kind kitchen that will be unique to your home. Pro tip: Make sure to keep the countertops clear of any clutters to help balance the overall look.